To Emmeline Pankhurst, suffragette, political activist, leader of the British women's suffrage movement. From Jessica Banks. 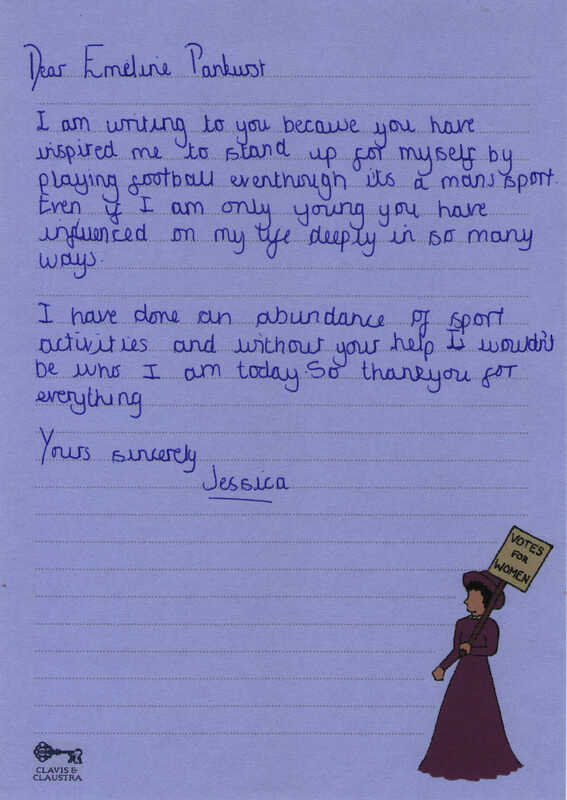 I am writing to you because you have inspired me to stand up for myself by playing football even though it’s a man’s sport. Even if I am only young, you have influenced on my life deeply in so many ways. I have done an abundance of sport activities and without your help I wouldn’t be who I am today. So thank you for everything. suffragette, political activist, leader of the British women's suffrage movement. Born 1858, died 1928. More information about Emmeline Pankhurst.